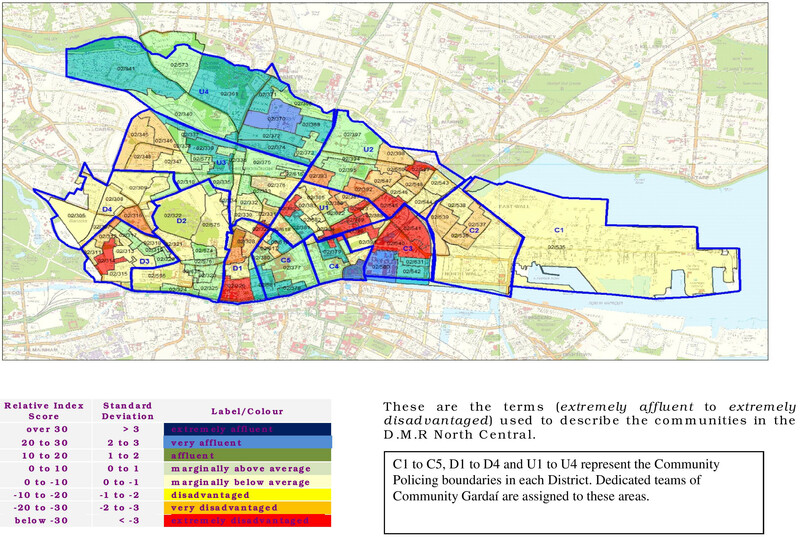 A chief superintendent has made the warning while discussing the Small Areas Policing Programme, where community gardaí will be assigned to individual areas. A TOP GARDA has said that it is “only a matter of time” before private security firms begin targeting residential areas by trying to set up patrols. Chief Superintendent of Store Street Garda Station Pat Leahy said that the force must work to “protect this key space”, describing it as “the golden nugget of policing”. He was speaking in an interview with TheJournal.ie on the Small Areas Policing Programme, a radical overhaul of the service An Garda Síochána provides, aiming to meet the individual needs of people. Currently being trialled in Dublin’s north inner city, the programme turns the ‘top-down’ approach to policing on its head, and while is so far successful, there are some fears that it may be a once-off measure. It is the latest stage of adopting a community-orientated approach. Previous stages over the past four years involved reaching out to key stakeholders in the area such as politicians and business owners. This latest stage began earlier this year, and will see 60,000 residents visited by gardaí. “It starts out by taking your division, treating it like a business,” Leahy said, “and asking yourself the question, if I didn’t address my customers appropriately, would I be out of business by the end of the year? Community gardaí are now assigned to designated areas, ranging from anywhere between 150 to 600 homes, where they must get to know all the residents individually. The first step of this is a sit-down chat. The garda visits the resident’s home, introduce themselves, and invites them to complete a survey which outlines their views on the area and how it is policed. “The garda has total responsibility for that area,” Leahy said. This ranges from addressing individual quality-of-life issues that arise to liaising with both victims of crimes and offenders. He noted that if someone was a victim of a crime, the garda assigned to the area in which they live would be alert, allowing them to call out and visit. This allows them to ensure they can inform the person of any necessary support services. Leahy also used the example of one pensioner whose handbag was robbed – their community garda helped them arrange for their cards and other lost items to be replaced. “That’s the kind of stuff that people might react to by saying ‘wait, guards don’t do that’,” he said. Of course they do that. She was a victim, they were her community support guards, they went and supported her. 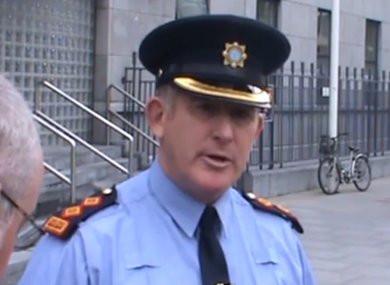 The garda is responsible for monitoring the levels of crime in an area, either through reports received or from members of the public, and then communicating this back to superiors. By looking at the issues from the ground-up, Store Street Garda Station has been able to readjust how existing resources are deployed, with no added capacity, in areas from the Drugs Unit to the Traffic Corps – and so far it appears to be having an effect. “[Gardaí in the Bridewell district] have found that not only are quality of life issues coming down, but that the level of crime is coming down as well, even though they haven’t allocated them in line with the crime statistics,” Leahy noted. Chief Superintendent Leahy said that they haven’t had “one bit of negative feedback” on the programme so far, and those in the community are also very receptive. Joe Costello, Labour TD for Dublin Central and former junior minister, told this website that he has “great support” for the programme, calling it the “ultimate in community policing [and] a very desirable step forward”. “Anyone I’ve spoken to has liked the idea,” he said. The deputy was involved in the embryonic stages of the Small Areas Policing Programme more than two decades ago, and was rapporteur to an Oireachtas committee which looked at community policing. Gardai were seen as being isolated from the community and not trusted, and we needed to bring them back in. While Leahy was confident of the programme’s continued success, Costello said there is a fear among some in the community that it is a once-off. Some local businesses have branded it as simply window-dressing. “To deliver in practice is of course the real challenge,” Costello said. He noted the increased demand on garda resources, and said that “it’s too early to give it any degree of success”. The scheme is slowly being rolled out across the north inner city, and it is understood the rest of the city has already been divided into the necessary ‘small areas’ in advance of widespread adoption of the programme. It would be more difficult in rural areas as you can not simply walk from door to door, and Leahy stressed whether it will be rolled out nationally is a decision that only the Garda Commissioner can make. “I don’t want to prescribe for anyone outside of the north central area, what we’re doing is what what works for us, but if I was outside of here I would be asking, who’s doing it at the moment? All you have to do is look at An Post. They manage to visit so many homes every day… so there is a model for getting in touch with all these people, and even on a much more regular basis. Minister for Justice Frances Fitzgerald has said she is “pleased” with this new community-based approach, but noted that significant work is needed before it is ready to be rolled out nationally. “It is an important development in fostering engagement between local communities and the gardaí in targeting the concerns of local residents,” she told the Seanad last month. We hear constantly that people want their concerns responded to by local gardaí, and it is a cost effective approach. “The Government is very supportive of this new initiative and approach to policing. “This particular model is at an early stage, although many elements of it are in operation in different communities throughout Ireland. We will see how this precise model works before we could consider extending it,” the Minister said. It’s not me, it’s about the great men and women going door to door and dealing with people’s everyday problems. It’s the real hard end of the stick in policing because you’ve to sit down, listen to all the issues, and then go and do something about it. Email “"Only a matter of time" before private security try to take over residential policing”. Feedback on “"Only a matter of time" before private security try to take over residential policing”.